I met a friend for lunch in Baltimore, which I immediately took as an excuse to visit my Mid on a Wednesday. He had sent me a Facebook message saying he depleted the snacks he took back at the beginning of the semester, so I swung by BJ’s in Pasadena, Md. to restock. 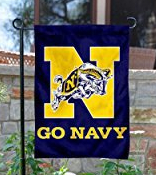 I try to make it a habit to post on the various Facebook pages for USNA parents when I’m headed to The Yard, offering to make a drop off. The trip prior to this one I had several takers. One was the high school classmate of my Mid, whose Mom dropped a box of goodies for delivery. Another was a Mid from just up the road from our church, whose Dad dropped of his Mid’s “mess dress.” Finally, there was a Mid whose Mom message from Germany. She had sent a package for his birthday, but was certain it wouldn’t arrive in time (it didn’t). So she asked me to stop at The Cheesecake Factory and pick up a treat – she gave me three options, so I picked up two just to be safe. This time, though, there were no takers. But I also always reach out to two of my favorite non-related Mids to see what they may need. One is a Ramen junkie, the other a coffee fiend and they were low on supplies. So I stocked up for them at BJ’s as well. I picked up dinner for them and my Mid on my way into town. I made my delivery, then waited for my Mid to finish lifting. We met at the Levy Center across from King Hall (not a formal gathering spot, but it is open to the public and there are some nice spots with tables and chairs) and sat down to eat. It’s been a rough week. He found out he didn’t get his first two choices for summer training – both Boy Scouts, one the Northern Tier, the other Philmont, where we did our high adventure trip in 2014. He’s an avid outdoorsman who spent 30 days in the Alaska backcountry last summer thanks to NOLS (the National Outdoor Leadership School). He thought his background, experience and passion made him a perfect candidate, so not being selected was a real bummer. Compounded by a challenging start to the academic year, he was frustrated and a bit discouraged. These feelings can always be amplified during The Dark Ages, the time between the beginning of the second semester and Spring Break. But we had a good talk during dinner and he was happy to see the box of “supplies” I brought with me. I think he’s going to be OK, but as a parent, you always worry. You know, it’s always odd walking The Yard in the middle of the week, even more so after dark. There’s a certain stillness to it for me. Maybe because most of the time I’m there, it’s the weekend and that brings a hustle and bustle type of energy. Next ›Did you see SWO ship selection? Sorry he didn’t get Philmont or NT for summer training. My son and daughter were both at Philmont in 2014, Northern Tier in 2015. My plebe thought about requesting Philmont but he figured a new experience would be better. Maybe it will turn out for the best for your mid.